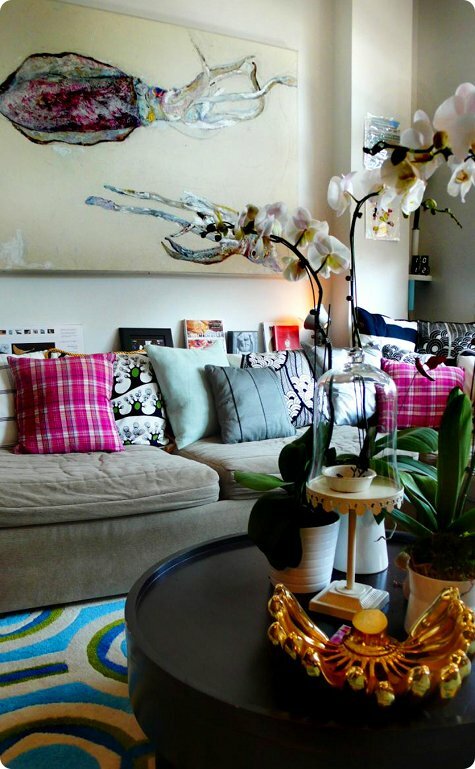 Today, the lovely Ashlina of The Decorista shares her glamorous dream home with us. Enjoy! Hi everyone, it's Ashlina here from TheDecorista! So excited to be here today sharing my dream home, which I must say is truly inspired by Paloma's new mag, High Gloss. I love daydreaming about my perfect home. Let me take you on a tour of mine. Palm Trees, gorgeous Spanish style and bright white paint. 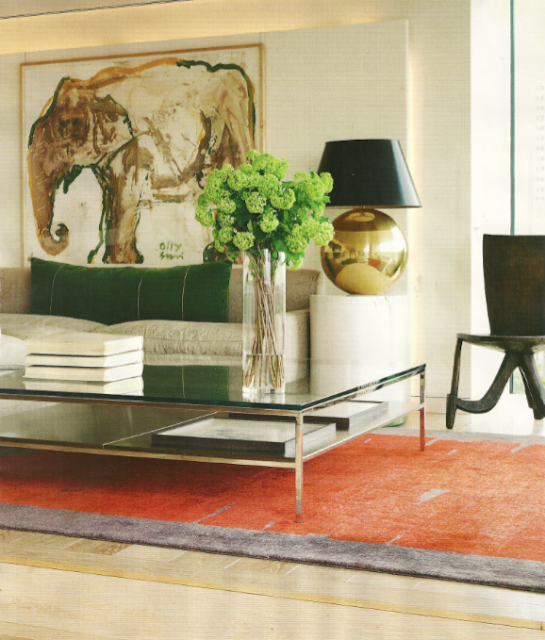 When you first walk in I would want art to be the first thing you notice, I do adore my large oversized artwork like this gorgeous elephant painting next to a big and bold gold lamp. Love this for an entryway. To the left you would have a beautiful, cozy and dark sitting room. I'd want it a little bit glamorous, a little bit exotic and super fun. I love homes full of fun things to look at and play with and this eclectic room would definitely be something I would work with. 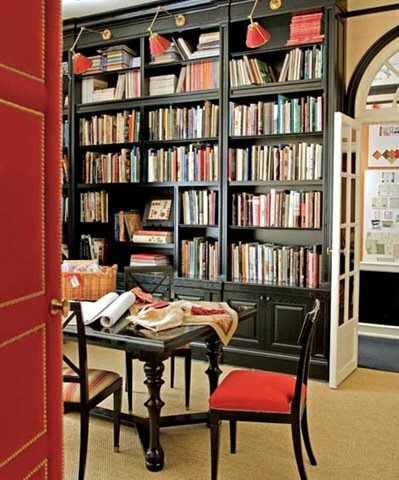 On the opposite side of the entryway, I'd want a study/library where I could draw inspiration from and get inspired by books and magazines...something like this would be cool. A fabulous powder room would be essential for my perfect pad. Something over the top with metallic wallpaper, a gorgeous mirror and romantic lighting. Next up would be the kitchen. I love bright, light and lots of space to get down. 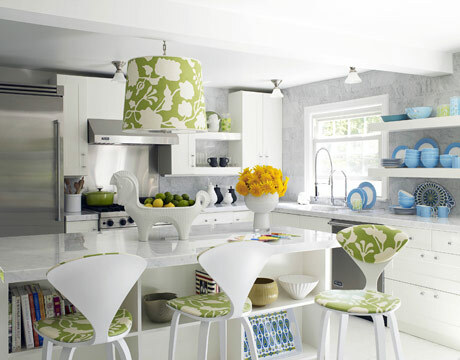 I love baking and entertaining so size is key and a huge, gorgeous island is a definite necessity. Right next to the kitchen there would have to be a super cozy, relaxing room to hang and watch movies. Full of fun art and lots of cushions and pillows. Something very kid and party friendly. A total lived-in feel, with orchids always. 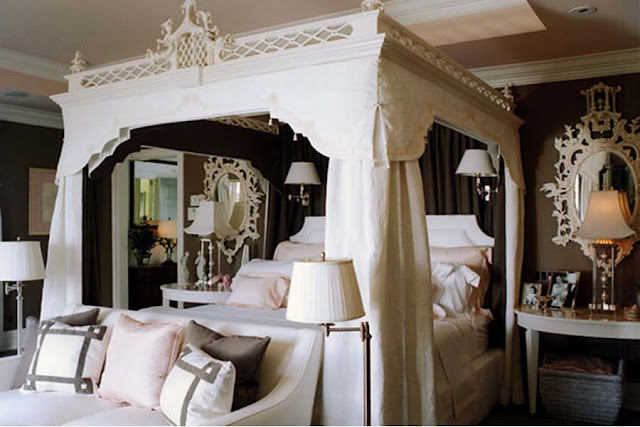 Bedrooms would have to be over the top glam. The master would be totally drowned out with fabric lined walls and a gorgeous canopy bed. Mirrored, of course. 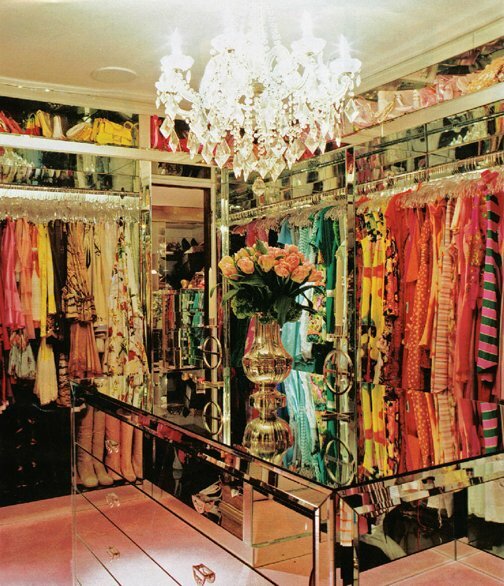 and my closet would need to look just like this....oh yes. Again, I'd always want to entertain so a bangin' outdoor situation would definitely be in order. I'd love a great pool with waterfall and cozy outdoor sofas for lounging and getting some sun! Ah yes! I love to daydream, that is what I call domestic bliss! Thanks for having me Paloma! very Ashlina, I love all the luxurious bits and colorful details, plus very girly, really like it! Love your dream home! Your style shines through in those images! HOLY closet!! That is amazing!! Any idea where the wallpaper from the powder room is from? It is so pretty and I am trying to find a good metallic! Visited Boxwood Interiors when I was in Houston for the Final Four! It was wonderful! Thanks for the beautiful blog! Very bold choices! I love the powder room and the black guest room- tres chic! i love the library sooo much! Enjoyed getting a feel of what Ashlina's dream home would be like after enjoying her blog for so long! Great picks! How gorgeous and the powder room is an inspiration! could i live in your home then? Ok, I think I've lost it... I've become obsessed with that elephant painting. I've blown up the picture but I can't seem to come up with the artists name on the painting...or at least whatever I google isn't helping. Please Help! I have been looking to buy the Horse shaped bowl pictured above with lemons and limes on the kitchen counter. Does anyone know from where I can buy it?